Happy Thanksgiving Canada! I celebrated this weekend with a healthy dose of turkey along a side order of demolition derby in Rockton. Highlights of this year were watching one car complete drive up on top of another and the Pizzaronies (mini-panzerotties). Awesome. 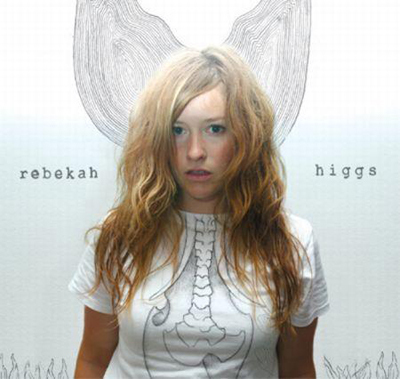 On a completely different note, sit down and relax to some music from Halifax’s Rebekah Higgs. The newest signing to Outside Music, she’s a 24 year old folk/rock singer who lists Julie Doiron and Feist as her influences. She writes some good hooks and adds just enough electronic flourishes and elements to draw the listener further into her music. Look for her self-titled release (new version) Oct. 16th with new artwork and some extra tracks. Here’s Winding Watch by Rebekah Higgs. Head to her myspace page to download a couple more.